Update: AVG 2016 products have been released. 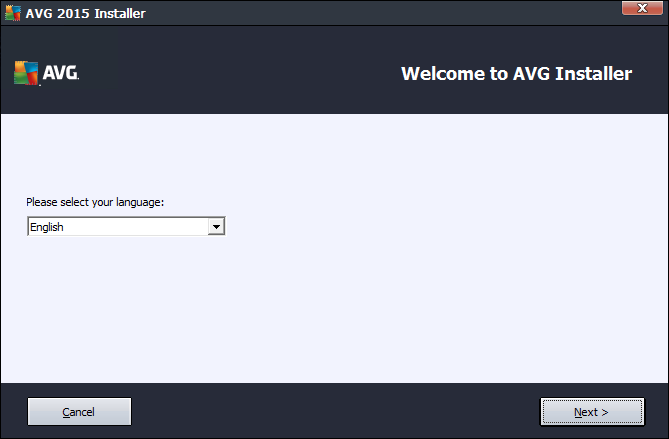 You can download the latest AVG 2016 offline installers here. AVG Free Antivirus is one of the most used free antivirus products used on Windows platform. It is popular because of its efficiency and compatibility with the latest Operating Systems and most of all its basic version comes with a zero cost. Right now the AVG 2014 is being used while AVG 2015 line of products have just been released. I have not written about AVG 2015 before on purpose. I wanted to test it on Windows 10. And I’m happy to say that I have installed AVG Free Antivirus 2015 on Windows 10 and it has been a satisfying experience. The system didn’t hang or slow down a lot. If you are a regular reader of this blog, you would have read my review on AVG 2014 which didn’t support Windows 8/8.1 officially which was a disappointment for me. That’s why I decided to test the new AVG antivirus on Windows 10 myself. AVG 2015 suite contains a few security products that have all the same function, protecting your computer from different types of threats. The types of threats that you will be protected from depends upon the type of product you have selected. We will discuss about all the products in brief and provide their offline installers direct download links so that you may easily download the one you want easily. Installation of each product is very similar. You only have to select the modules provided by each product. The installation steps are pretty straight forward. This is the standard antivirus product from AVG. 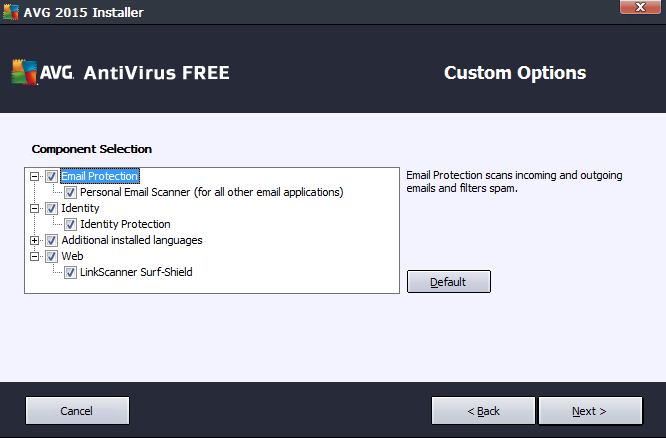 This includes all the features of the free version of the antivirus plus additional features. Additional features include online shield which protect you from malicious files from being downloaded from the Internet. It also comes with a data safe which encrypts and password protects your private files so that no person can open or copy your files without your permission. AVG Internet Security 2015 is the most feature-bundled product of the AVG family. The internet security suite provides all the features of AVG Antivirus 2015 plus some additional features that are required especially by enterprise level users. These features include and Anti-spam module which will help you avoid spammers and scammers. AVG Internet Security 2015 also comes with an enhanced firewall which keeps the hackers and other threats away from your computer. Please note that all the download links provided above are direct download links to standalone offline installers of AVG products. If any link isn’t working, kindly let me know through comments below. 2015 is still supported. Continue to use AVG 2015, since in AVG 2016, you can’t disable sending anonymous usage info to AVG, unless you buy the pro version. In AVG 2015, you can still disable sending all information to AVG, in 2016, you CAN’T. Avg anti virus is one of the best virus protection software ever. It is our great duty to protect your computer from any type of harmful viruses. These viruses can strongly damaged your computer, might be your can work very slowly or sometimes will be hanged bye that viruses.. When I can doing internet security 2015 updating or uninstall then showing installation is corrupted.What can i do ? Please help me. The AVG Internet Security 2015 installer is outdated. We must connect to internet to download the newest version. Is there a way to download the full AVG and latest updates? I have recieved 2 older laptops owned by non computer people and so are probably infested. I dont want to connect to my network. I want to download on a trusted PC, copy to a SD and then lock the SD so Junk can not infest it or kill the AVG. But I can not find any where to get “offline” AVG. Any help? Varun I have checked all the links on this page and confirm that all the links are working fine. Obrigado por compartilhar seu conhecimento, desde de já agradeço pela ajuda e ótimo site. Your URL is very interesting but, unfortunately, your downloadable installers are obsolete.